← We can no longer tolerate government CORPORATIONS! Are you dangerously stuck in the matrix? IT IS EXTREMELY IMPORTANT FOR YOUR SAKE, THAT YOU FIND OUT! Many are calling Americans stupid or refer to us as “sheeple”. Today there are many ongoing government programs and/or efforts that could harm or injure you or your family members . . . even fatally. These programs or agendas are sold to the public as beneficial, but a closer look reveals that something else is going on, especially since the American people have been officially classified as “enemies of the state” since 1933. _____ 1. The Food and Drug Administration was established to ensure that our food supply is not contaminated and that pharmaceutical drugs are safe and effective. _____ 2. There are good (or even green) publicly traded corporations that value life (or Earth) more than they value profit. _____ 3. The most secure air space on the planet (over the Pentagon) was breached by amateur Arab pilots with box cutters. _____ 4. Jobs that were sent over seas are coming back as are our pensions and benefits. _____ 5. Automation and/or robotization will not create massive permanent job losses. _____ 6. AIPAC (American Israel Public Affairs Committee) controls Washington by using the aid we give to Israel to bribe our politicians into ‘Israel first’ policies. _____ 7. The gold-fringed flag we see in Congress and our courts is merely ‘decorative’. _____ 8. The wide long-lasting aerosol trails that have been cris crossing our skies since the late 90’s are normal contrails. _____ 9. It was Constitutionally lawful for the Supreme Court to determine the outcome of Bush v Gore. _____ 10. The robber barons (monopolists) changed their ways and no longer seek to control and monopolize commerce and resources to their own advantage. _____ 11. Massive immigration from Mexico is beneficial for American workers. _____ 12. Those that work for the ‘government and all of its agencies’ are public servants. _____ 13. The media in America has been under the control of a relatively small group of anti-social men via the Council on Foreign Relations and the CIA – and has been pumping out more propaganda than truth – for decades. _____ 14. The fluoride put in our public water supply is toxic waste – not pharmaceutical grade – from the phosphate fertilizer industry. _____ 15. The Federal Reserve and the IRS are divisions of the United States government. _____ 16. The US Constitution is the ‘law of the land’. FALSE The flag denotes jurisdiction. To fly a different flag in Congress and in our courtrooms means that the jurisdiction and/or authority is other than the Constitution. The presence of the gold eagle filial on top of the gold-fringed flag represents the authority of the dictatorial President during a ‘national emergency’. All Presidents (including Obama) have intentionally maintained an ongoing national emergency since 1933. FALSE The wide trails coming from many airplanes are part of a covert geoengineering/weather control program. See NASA Documents reveal Climate Change caused by covert weather weapons. FALSE The Supreme Court does not work for the Constitutional government, they are a branch of USA INC.
FALSE Immigration from Mexico serves the globalists and their corporations. It allows corporations to replace American workers with cheaper labor. This is done with the blessing of those ‘elected representatives’ in Washington, DC. FALSE Those that work for the ‘government are actually employees of the US Corporate franchise network. TRUE According to the Congressional Record, the media in America was captured by the Robber Barons back in 1917 via the Council of Foreign Relations. See: The Council on Foreign Relations and Media Control. And the CIA has been conducting “Operation Mockingbird” for decades. In fact, former CIA Director William Casey stated in 1981: “We’ll know our disinformation campaign is complete, when absolutely everything the American people believe is false”. FALSE Both the The Federal Reserve and the IRS are private corporations affiliated with the Rothschild banking cartel. Read Secrets of the Federal Reserve by Eustace Mullins and/or watch the 9 min video USA INC – Exposing the Thieves Who Stole Our Government. There are thousands and maybe millions of Americans who have been questioning for many years, the validity of the government ‘system’ that now seems to control our lives. While those that have been asking questions and seeking answers have been marginalized and even called ‘conspiracy nuts’ or ‘paranoid’, they are anything but. The questioners are the brave ones and are leading more and more people out of the dangerous matrix each and every day. The questioners are also solution seekers as they have become acutely aware of the fact that our so-called government classified “We the People” as their enemy in 1933 and our status has not changed in 80 years. The people’s enemy, the so-called federal government, has no obligation to serve or protect the general population and they are also not likely to surrender the power or wealth they have stolen. See The Looting of America by a former Washington/Wall Street insider, Catherine Austin Fitts. It is the inherent right and prerogative of civilized people to rule themselves, and to dictate all of the forms and conditions of the institutions they set up to carry out this rule. The people have a natural right to life, liberty and the pursuit of happiness. The rule of law needs to be created by We the People (not corporations) and must be applied TO ALL EQUALLY or it is not the ‘rule of law’. It is the natural right of all people to live in peace and share Earth with the many life forms abundant on the planet. The golden rule is universal law.
. . . you have both a duty and an obligation to exit the dangerous matrix, be brave enough to educate yourself and join the questioners seeking solutions. As long as most Americans don’t understand that We the People were declared enemies of the state in 1933 and believe we have a representative government and that this ‘government’ is our protector, we (and our children/grandchildren/nieces/nephews) will remain in peril. This entry was posted in corruption, Government and tagged corporation, matrix, public officials, questionnaire, united states. Bookmark the permalink. 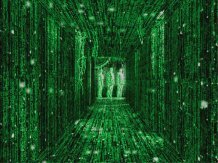 I think it really doesn’t matter what we believe, we will all stay in the matrix. If it is anything like me, knowing Neo and Morpheus, they end up telling you that it was all a script, and that there is no possibility to see the glorious city of Zion. Most interesting article as we continue to see how controlled each of us are by the government.